Join us for a week of FREE lectures, workshops, and clowning. Medical clowning is a real thing. 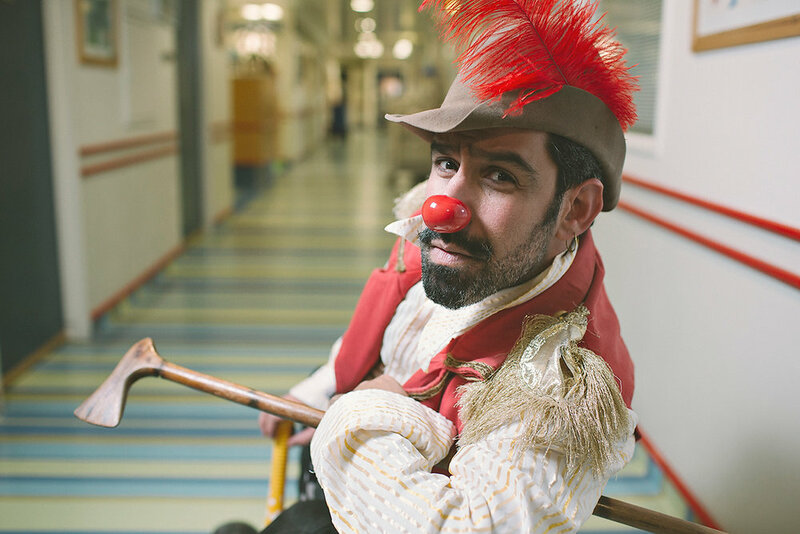 David "DuSH" Barashi is one of the pioneers of professional medical clowning in Israel. He has been part of The Dream Doctors Project since the earliest days of the program. And now he leads the clown unit at the Hadassah Hospital. For the past 20 plus years, David has been a clown; in the streets, festivals all over the world but most importantly – in hospitals and disaster areas, in Israel, Nepal, Haiti, and Uganda, with children and adults, with PTSD and AIDS patients… He brings the light wherever he goes. Rotem Goldenberg is a trained and award-winning actress. She has joined The Dream Doctors Project in 2012 and has been working at the Wolfson Hospital in Tel Aviv since. She has also found a variety of other applications to her medical clowning. In 2014 she worked as a medical clown at the Nes-Ziona’s Mental Health Center youth ward. She also has been working as a social clown at the “Ahuzat Sara” boarding school for high-risk youth. In 2015 she was part of the IDF Medical Corps mission in Nepal. Since 2016 she has been working with a theater group of refugees at the “Holot” detention center. This event is an academic seminar for UCLA students, teachers, and researchers. There will be a required reading. Please email ICLOWNYOUMOVIE@GMAIL.COM if you are interested in participating. Ticket is 10$ and includes dinner. The event is open to all students of AJU. Sign up on below to get a reminder in the email and a streaming link in case you miss it! Please check your "Spam," "Promotions," and "Notifications" folders for a confirmation email from us. Make sure to confirm the submission so that we can keep you posted about the webinar. We Clown You Very Much! The Masterclass is designed for the theatre folks, street artists, performers, and clowns who wish to expand their professional toolbox. · Clown silhouette: the costume, body language / rhythm. 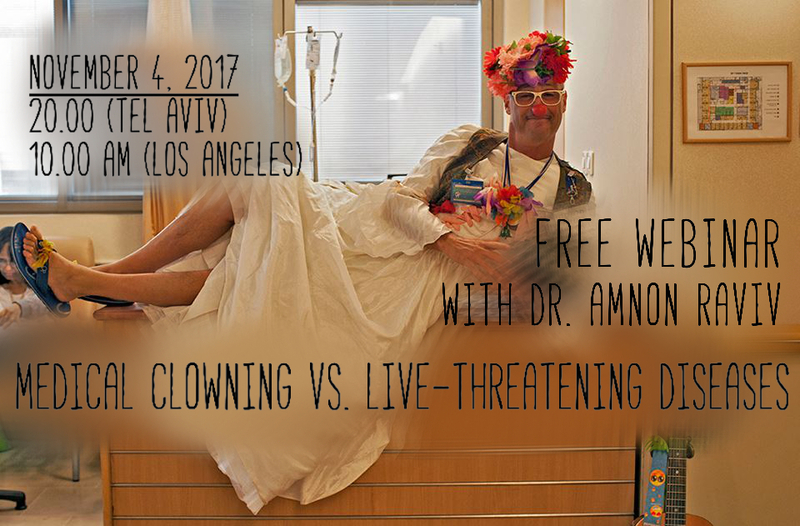 · Clown dynamics in the environment: audience at a theater and in the street, doctors, patients, and their families in hospitals. · Clown technique: Gesture-Action, verbal clowning, gibberish, and more. · Applications of clown work in the fields of medical and humanitarian aid. or feel free to reach out to us at iclownyoumovie at gmail dot com. We respect your privacy and will never share your email with any other entity.